The staff and Pupils of Gaelscoil Ui Drisceoill Glanmire are thrilled to be Overall Winners at the Cork County Federation Muintir ná Tíre Pride in our Community School Garden Awards 2018 which were held in County Hall on Monday June 18th 2018. The Competition is just in its sixth year and judging from the amount of entries received, the enthusiasm and high standard and quality involved from all the schools it was a huge success. The competition involves each school developing/planning a garden in their own way. Both adults and students work together to decide what type of garden they want to create. The competition encourages all students to get involved in working in the garden and the competition also promotes sustainability and biodiversity. The judges were very impressed with the high standard of the gardens involved. Mr Sean Holland introduced the schools involved and congratulated each school individually. This was then followed by an audio visual presentation that show cased all of the schools hard work. Sean then thanked Muintir ná Tíre for all their hard work in making the Pride in the Community School Garden’s Awards a huge success. He also thanked Cork County Council for their huge support. Seamus Forde of Cork County Federation Muintir ná Tíre was highly impressed with the standard of the gardens entered and spoke about the importance of getting into the garden and “getting your hands dirty.” He asked pupils to think outside the box and to include lots of colour in their gardens. He also thought that the Video on the gardens was a good way for new entrants to see other school’s work and come up with new ideas. Major Declan Hurley was highly impressed with the response to the School Garden Awards and encouraged everyone to get involved. He congratulated all the schools and said they were all winners. He hoped next year’s competition would be even bigger and better. John O Regan of the Environment Directorate, Cork County Council was very impressed with the huge involvement from all the schools and congratulated all the schools on their huge contribution and the amount of work that was done by both students and pupils. Conor Nelligan Heritage Officer of Cork County Council thanked everyone for partaking and attending the Awards Ceremony. He said the competition was a huge success and congratulated all involved. Brendan Scahill HSE was highly impressed with the commitment of all the pupils involved and said that pupils would develop life skills by getting out and enjoying the garden. School of the Divine Child, Lavanagh Centre. 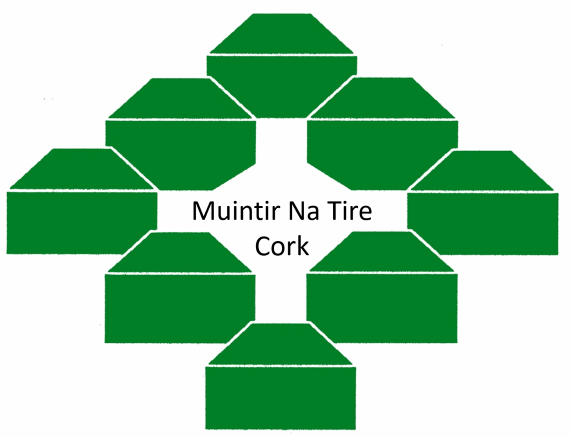 About the Competition: The competition is run in conjunction with Cork County Council, Environment directorate and Heritage Section and Griffins Garden Centre. The aim of the “Pride in the Community Schools Competition” is to support pupils, teachers in County Cork, to bring nature, wildlife, plants and colours into their school grounds, to promote horticulture and biodiversity to give students a chance to interact with the environment and nature in a positive way. Studies have shown that school gardens promote positive environmental attitudes and provide an excellent opportunity to develop more positive attitudes towards science at an early age.